Two men were arrested on suspicion of two commercial burglaries at SAP office buildings in Palo Alto early Sunday morning, police reported. Police received a report of a burglary in progress at 2:08 a.m. in the SAP office at 3450 Hillview Ave. and responded to find a broken glass door and two masked suspects holding stolen property on a staircase. The suspects ran the other way when they were told to stop, but both were caught and arrested outside the building. Police found a pry tool used for the burglary and stolen electronics from SAP. Cousins Mike Turner, 25, of Oakland, and Steve Turner, 21, of Stockton, were arrested on suspicion of felony burglary. Investigators said the two men are connected to another burglary at an SAP office at 3475 Deer Creek Road just before the 2 a.m. burglary. Police found a smashed window at the location, and additional stolen property was recovered from the suspects' vehicle in the SAP parking lot. 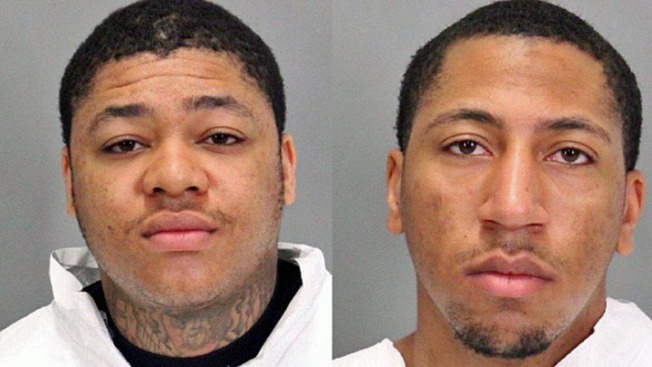 Police are investigating whether the two men are connected to any other related crimes in the Palo Alto area.